Exclusive Interview: "OSCAR Pet Foods has affordable entry level and low running costs!" To enquire about an open day click here. In this video, we meet Pete Wiles who is an Oscar Pet Food franchisee in Tadcaster, East Yorkshire. He shares with us her experience so far as a franchise owner. Learn the benefits of franchising, what kind of training and support you receive, and the success that can come from it. Oscar Pet Foods is a pet franchise business, specializing in manufacturing nutritional pet food and offering nutritional expert advice to pet owners. 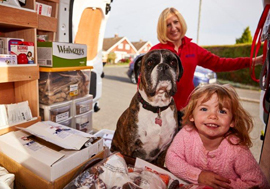 Overheads are low as this is a home-based franchise opportunity that is operated from a van. Oscars Pet Food is a Full member of the British Franchise Association. Exciting new launch of enhanced pet food! 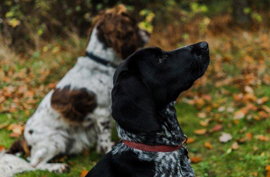 Our service is appreciated by customers who want to feed the best food at a competitive price, and they enjoy a service that is backed up with FREE advice from experts in nutrition, behaviour and veterinary matters. 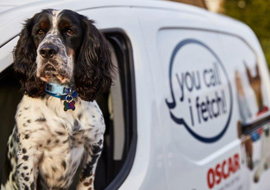 OSCAR has kept a firm focus on changes in pet food manufacturing, while devoting time to a growing network of franchisees. A reliable, convenient delivery service, making visits to the shops or carrying bulky pet items a thing of the past. Our payment system makes shopping easy and delivery of items can be made whilst the customer is out at work. A variety of tasty, highly nutritious pet foods and a comprehensive range of accessories ensures customers have choice and variety. A FREE helpline to our experts is a welcome addition, providing ongoing professional advice during the life of their pet. A friendly and hassle-free service that is only a phone call away – guiding your customer on life's pet essentials! An OSCAR franchise provides the security of a strong brand and protected image that gives you the benefit of running your own business alongside like-minded individuals. Supported by trained and experienced mentors, OSCAR is a tried and tested system which ensures you will be suitably qualified to understand and promote the products and services you have to offer. 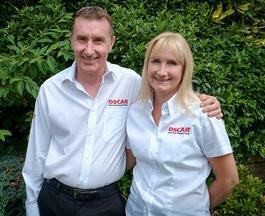 OSCAR is a business that provides a positive cash flow with low overheads in a rapidly expanding market. The OSCAR franchise package provides flexibility and choice in accordance with your own level of expertise and skill set. Commencing with the fundamental necessities to launch an OSCAR franchise, the package has been designed to provide a cross section of additional business development services that you can tailor to suit your needs. 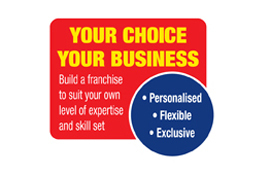 To request our FREE, non-obligatory franchise prospectus, please click here. Professionally branded corporate marquee for use at local events. A comprehensive online reference manual. By filling in the form below you will be able to receive a copy of the OSCAR Pet Foods prospectus. To enquire about a discovery day fill in below form.